You sift through the racks, getting more disheartened as the cuteness of the garments seems to deteriorate. You start to regret the shopping trip altogether, but know that you need a hot outfit. Out of nowhere, it appears: that amazingly gorgeous dress that embodies style perfection. You skip to the dressing room, so excited you can barely stand it. Then you try it on. It fits up top, but not on the bottom. You try on the next size. It fits on the bottom, but not on the top. Aahhh! What is a girl to do? You think, "I wish I had a dress that was custom-made for me!" Find this dress here. I added a bow pin at the waist to make it even girlier. 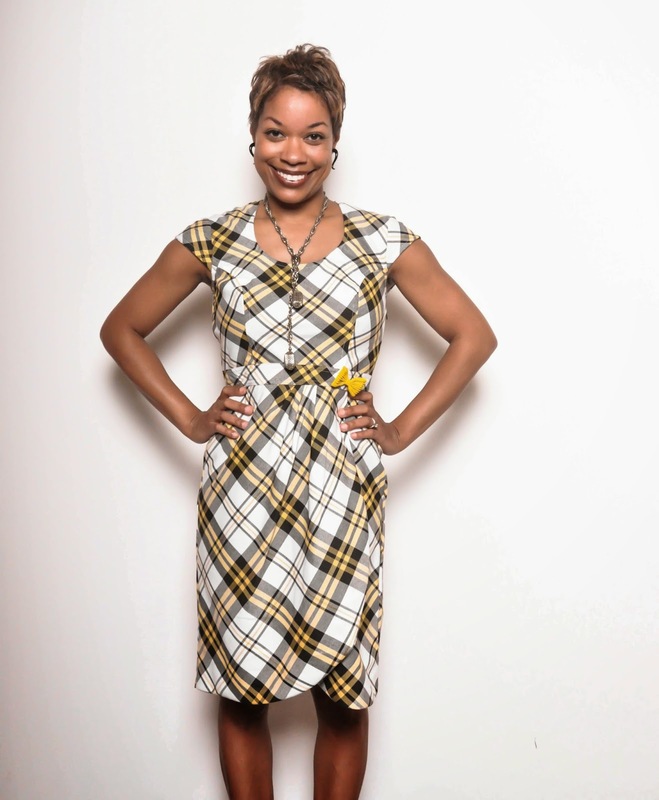 The original dress was sleeveless and below the knee, but I chose to shorten it and add cap sleeves. 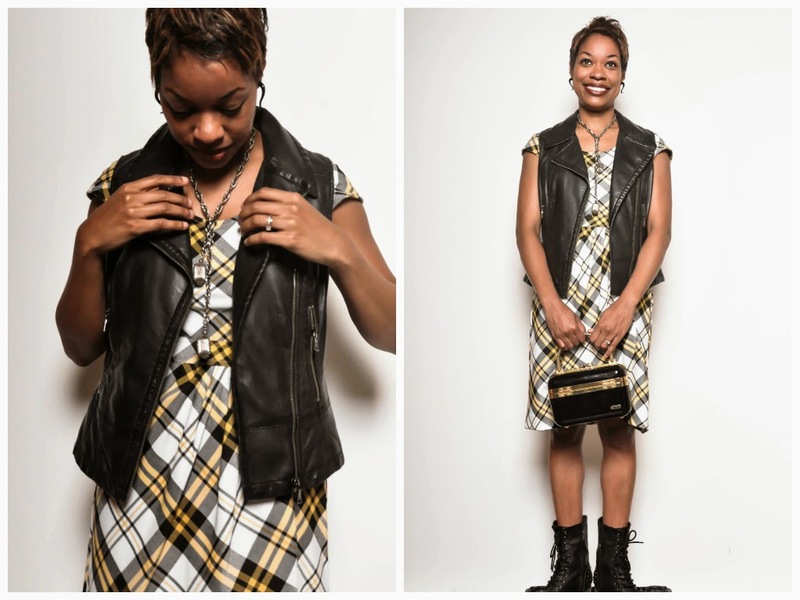 To punk it up, I styled it with a faux leather vest from Express, my trusty Steve Madden studded boots (that go with everything) and a vintage bag. The dress was a hair longer than I anticipated - I picked "above the knee" and envisioned more of a mini look (even though the web site pics are very clear) - but I'm loving the Clueless-meets-Gwen Stefani plaid. The customer service was top-notch and my dress arrived in about 2 weeks, as promised. Want to try eShakti for yourself? Just for you lovely readers, enter coupon code 'therubyzipper' for 10% off your purchases through October 12. The code can be combined with other promotional offers, but won't work for sale/clearance items or gift cards. Let me know what you think if you get a custom garment! 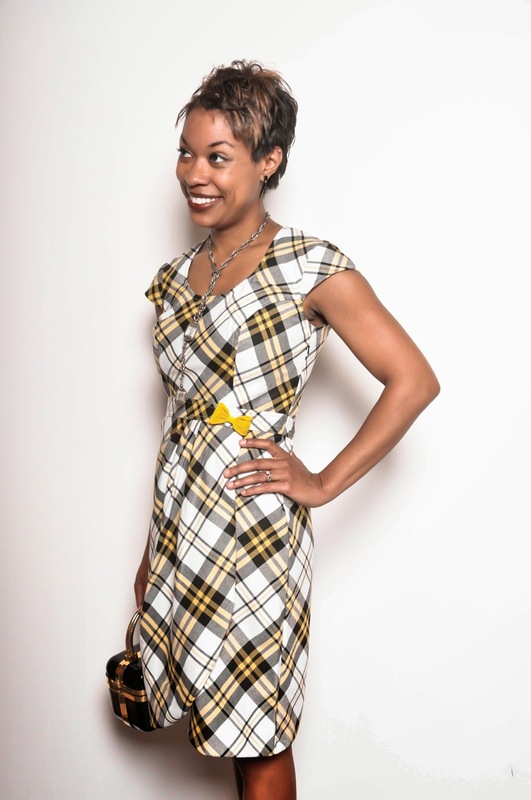 P.S.-This dress was gifted to me by eShakti, but all opinions are entirely my own.